Asgardia is a toaster-sized satellite that is deployed in the earth’s orbit. This is said to be a prototype of a free and unrestricted society with immense knowledge and high-end science. Asgardia aims at orbiting the earth with a space ark one day, with a colony on the moon, Asgardia’s orbiting will be expanded to many other celestial bodies in the space. The word Asgardia is derived from the word Asgard which is a mythical place where gods reside. Recently, Igor Ashurbeyli, a Russian scientist was appointed as the “Head of Nation” for Asgardia. According to the laws of Asgardia, Igor Ashurbeyli will remain in the position for the next five years and can be re-appointed for the same position until he is 82. The inaugural function held in Vienna’s baroque Hofburg Palace witnessed the new Asgardian national anthem and a pre-recorded message from a Russian Astronaut. The emblem of Asgardia was also released by Igor Ashurbeyli which was followed by a speech regarding the noble goals of Asgardia. 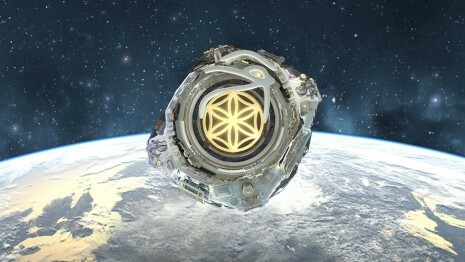 Asgardia’s goal is to make peace in space and prevent the conflicts that are being transferred to space from the earth. The event was filled with 350 guests that included the citizens, prominent ministers, supporters, press, and others. Events were organized to introduce the 12 official languages of Asgardia. The dinner was followed by a selfie session and quick talks between Igor Ashurbeyli and the citizen who attended the event. The dinner event was followed by a press-meet where the Russian scientist and “head of Asgardia” utilized a Russian-English translator to address the press. Talking about the registrations for Asgardia, one can register by providing details on their websites. Though Asgardia now exists as a small satellite, people are excited about living there in the near future. The constitution of the country is constructed smartly. Looking at all the details provided, Asgardia looks like a real version of Utopia. The head of Asgardia will have the rights to pass on the legacy of his post to anybody he finds is capable enough. He has complete control over the appointment and dismissal of other main bodies.